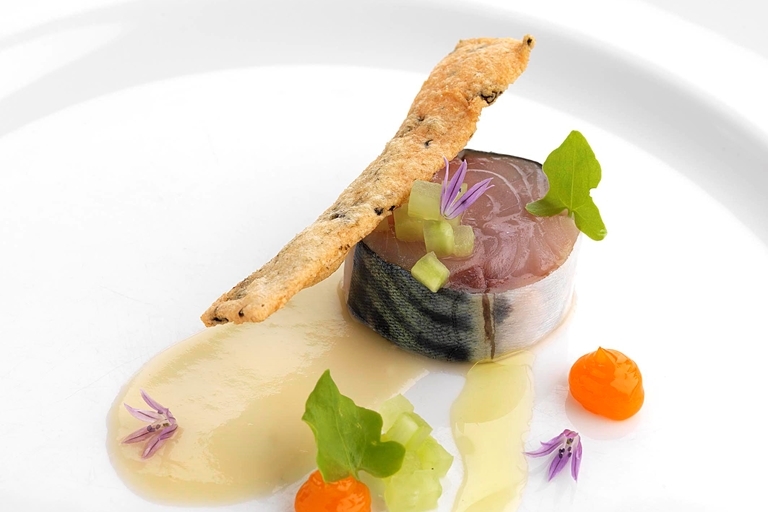 This remarkable mackerel recipe is an exceptionally challenging dish from Adam Stokes, so ensure you have the specialist equipment before starting. The mackerel is marinated in lime juice and paired with a homemade seaweed cracker, making a brilliant seafood recipe. Adam Stokes has achieved a lot in his relatively short career – including a Michelin star in two out of his three cheffing jobs. From refined country cuisine in the lowlands of Scotland to more modern, inventive dishes at his own restaurant in the heart of Birmingham, the themes that remain strong are intense flavours, beautiful British ingredients, stunning presentation and intricate technique.